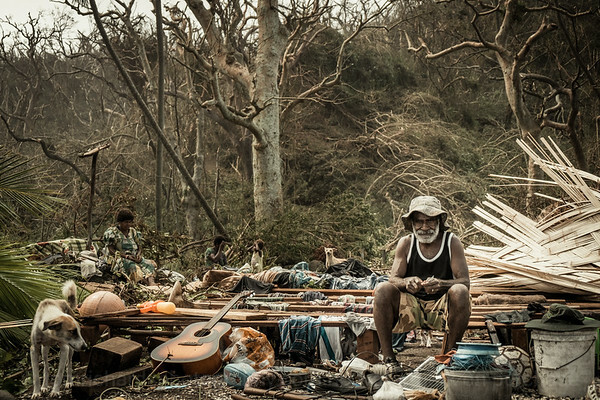 Chief Nari (foreground) with his wife, Mary (Left) and daughter, Rebecca and granddaughter, Rahab sit amongst their gathered possessions one the site of their ruined house the morning after Cyclone Pam. 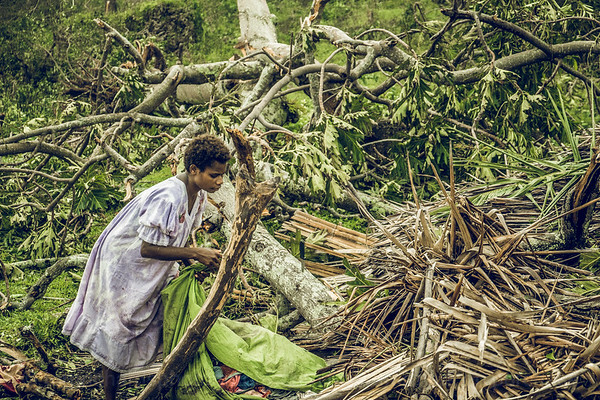 Food was plentiful on the day following Cyclone Pam. 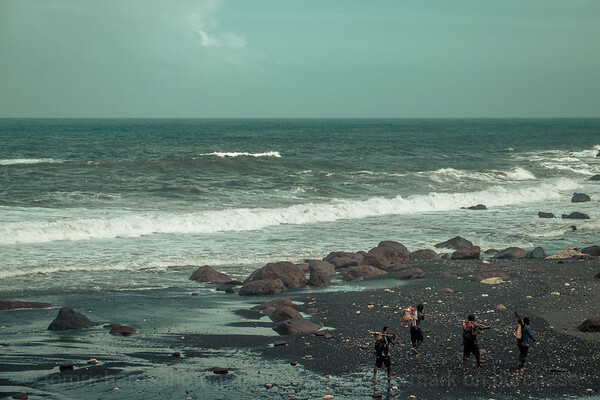 Here four men carry home the meat of a cow that died in the cyclone. 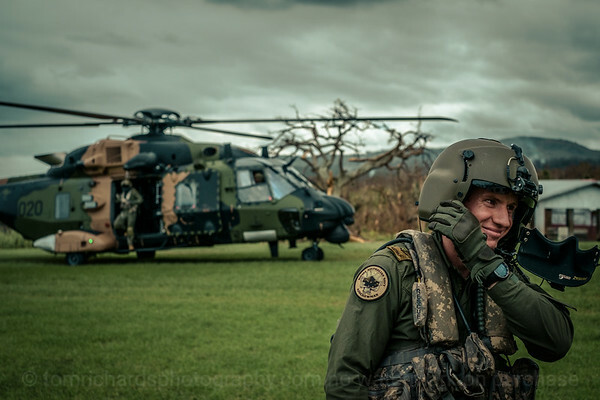 Sam Kulak joins the Public Works Department to clear the road in North-West Tanna following Cyclone Pam. 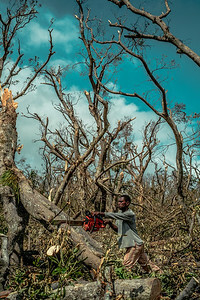 Opening the road was a vital part of the relief effort. 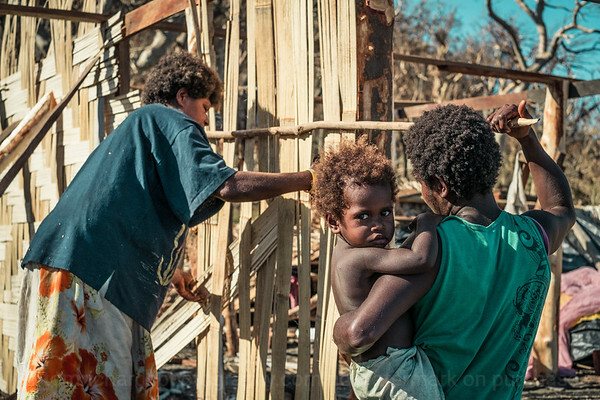 Rebuilding began within twenty-four hours of Cyclone Pam passing. Usually, men do the work of weaving the bamboo walls, but since the man of this family is sick, these women are doing the work. 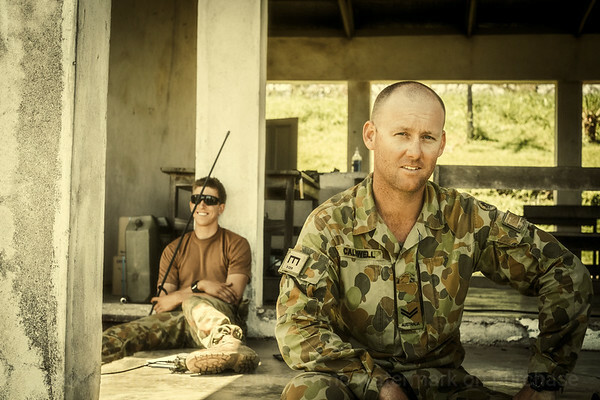 Australian soldiers on a break while camped at Tanna’s open-air courthouse. Waiting for the ship to unload. Cyclones make for a lot of laundry! 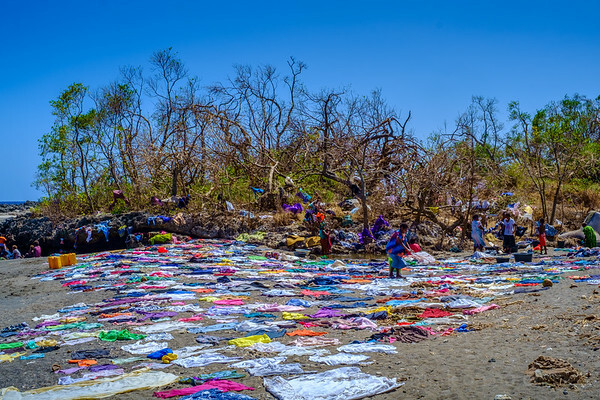 Washing and drying clothes in the creek at Lenakel. 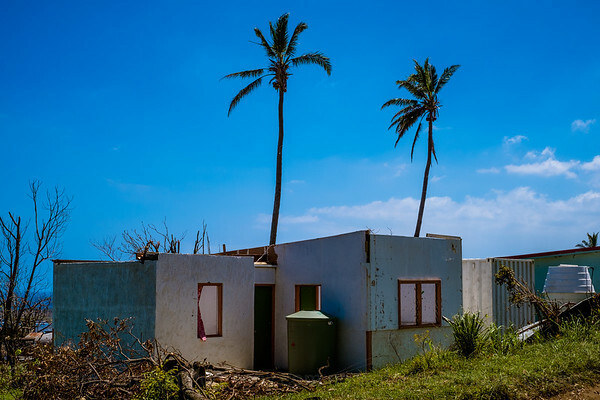 The Red Cross building in Isangle didn’t do too well in Cyclone Pam. 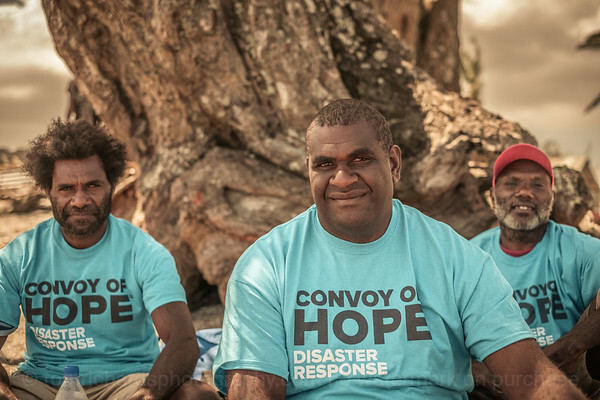 The Provincial Disaster Committee coordinated the relief work on Tanna and in TAFEA province. This information desk was the committee’s interface with the community. Here Stephen Luke responds calmly as someone expresses his frustrations. 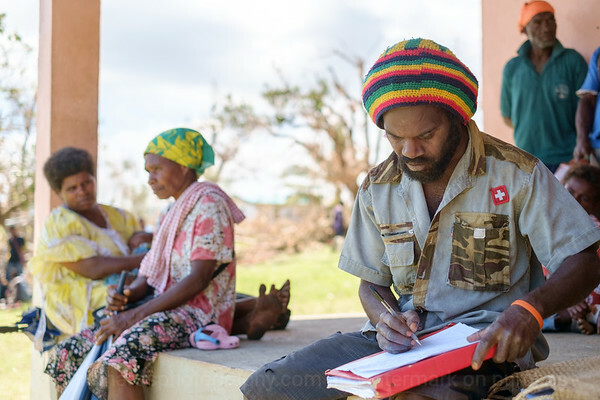 Nauka Steven fills out a form to provide the Provincial Disaster Committee with information about his community. In the darkness there's light, and the people can stand and fight. 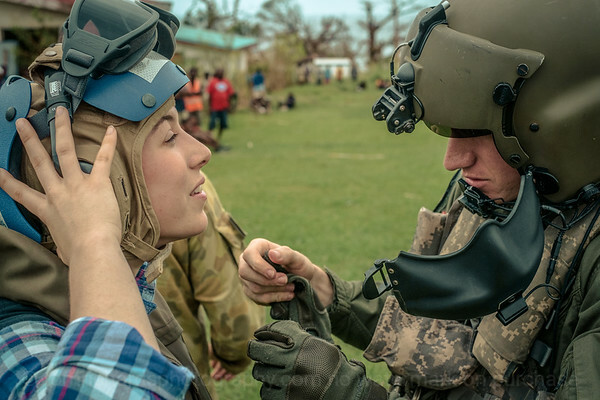 Aid organisations aren't the only heroes and people can work to look after their own needs. 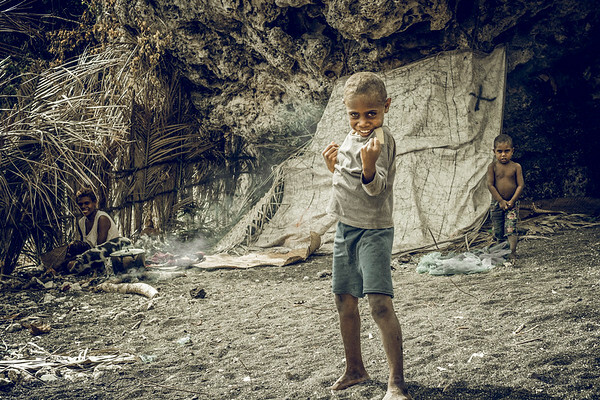 This child shows his fists as a sign that his family are still fighting. 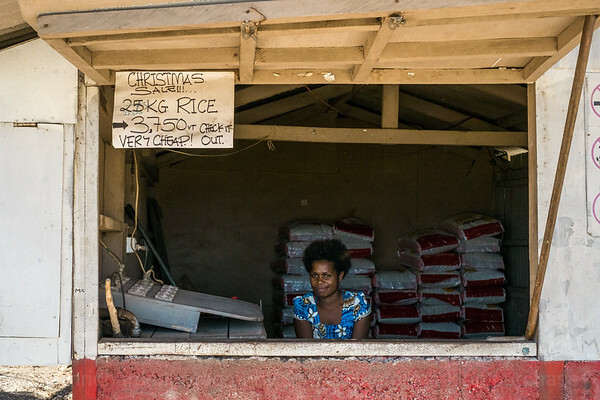 No fuel at this fuel station but a sale on rice! Falisa Nalin helps her dad to repair their kitchen. 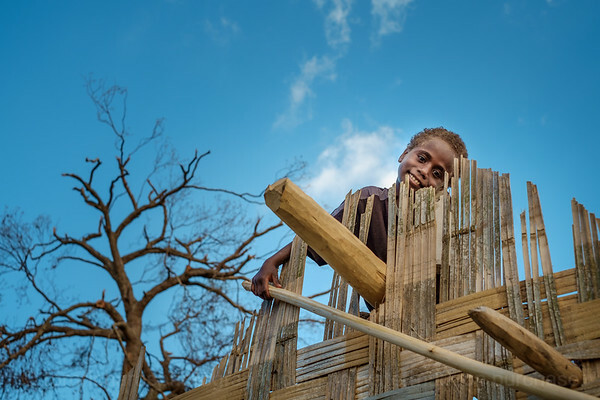 Rebuilding dome by local people in local ways – before the cavalry arrived. 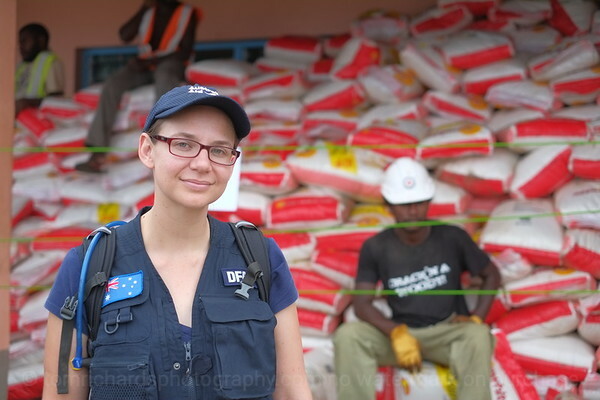 Joanna O’Shea from Australian Aid in front of stockpiles of rice at the provincial office. All food distributed should have been done through the Provincial Disaster Committee under the National Disaster Management Office. 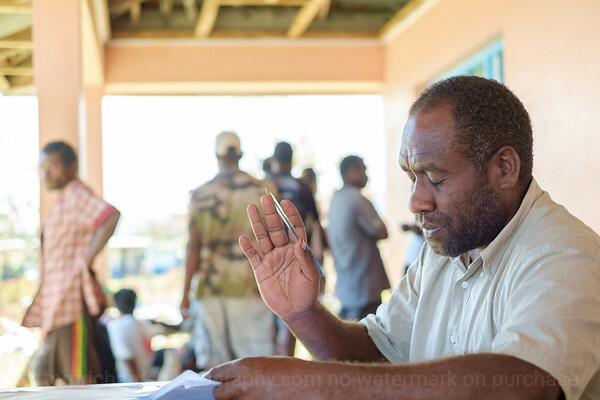 This was not always adhered to and at times the Provincial Disaster Committee had to maintain a presence at the wharf ensure that supplies were directed through the correct channels. 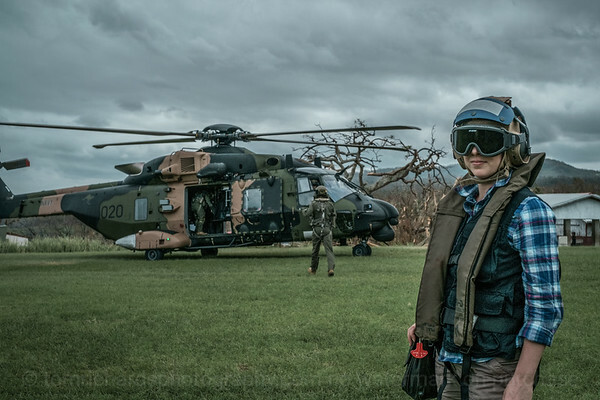 Australian Aid’s Clare Backwell ready to board an Australian Navy MRH-90 helicopter to fly over the island of Erromango to assess damage after Cyclone Pam. 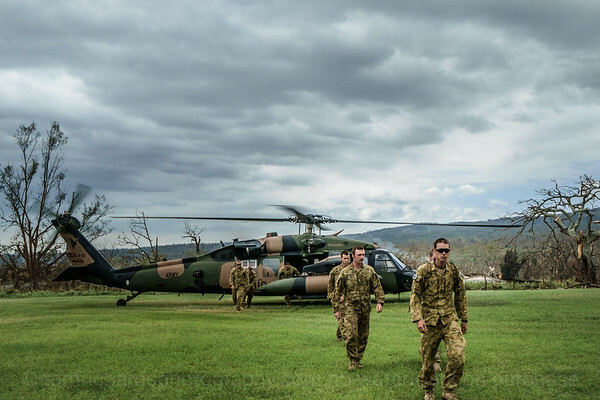 Members of the 3rd Combat Engineer Regiment of the Australian Army arrive on Tanna to respond to the damage caused by Cyclone Pam.